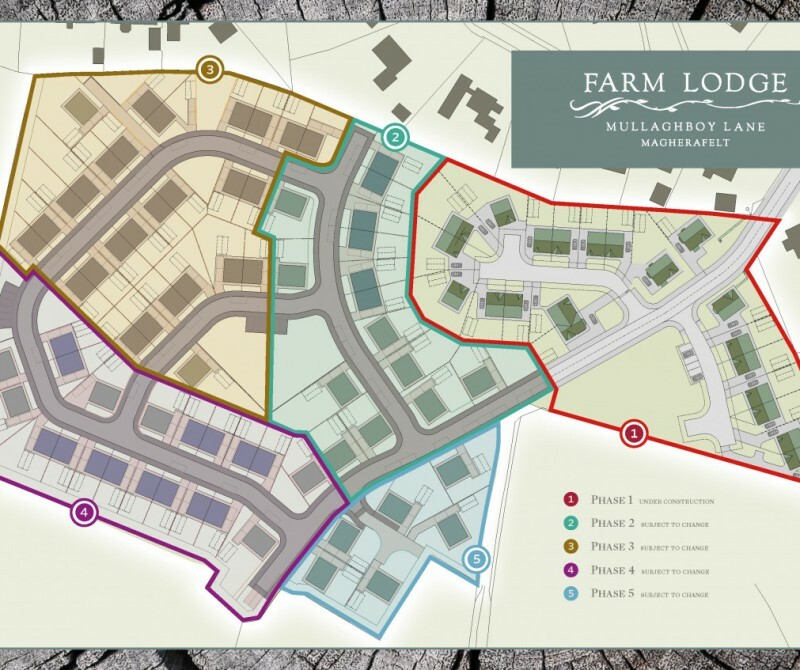 We have co-ordinated two full planning applications for our client, Mullaghboy Construction, securing an initial first phase permission of 21 units comprising 5 detached and 16 semi-detached units. We have since prepared a further submission for a second phase of 69 dwellings – comprising 46 semi-detached and 23 detached dwellings. We have prepared design and access statements and co-ordinated professional team input to address access and transport, drainage and landscaping requirements. Our highly creative graphic design team has also been appointed by the client to design marketing brochures and brand this high quality development.